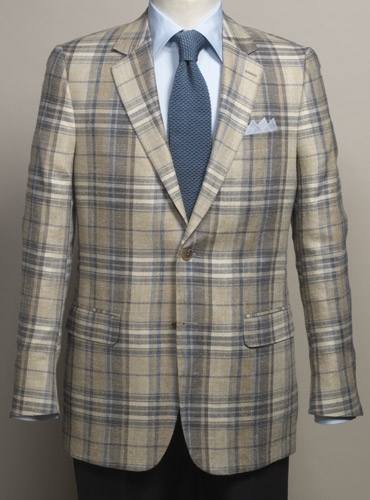 Sand and grey large glen plaid sport coat with cream and delft blue. 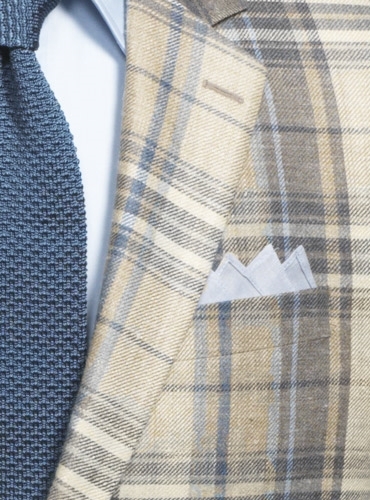 Woven from the finest 55% silk, 45% linen from Magee. Cut in our comfortable two-button silhouette, with double pipe and flap lower pockets and an upper welted pocket, side vents, and a slim bluffed edge lapel. Available exclusively in size 40 Long.